When Stacy Rauen and Amber Wilcox were going through their respective pregnancies, they couldn’t believe there wasn’t an easier way to get their necessary prenatal vitamins. Both women had difficulty with the standard pills due to their size and taste. Those factors, mixed with persistent morning sickness, made getting the necessary vitamins tough. Then Rauen, Wilcox and their husbands began looking into making their idea a reality. They did some Internet research and spoke to other moms and doctors to make sure there wasn’t a similar product already on the market. Then they teamed up with a beverage development company, since they didn’t have any previous experience in the beverage industry. They conducted tasting rounds at their homes with friends and family. They hired a branding company to take care of things like their logo and website. Bump Water was officially in the works. The two families worked long nights and weekends to make Bump Water a reality. They even poured their savings into the project. So to fund their initial production round, the first-time business owners held fundraisers for friends and family and started an Indiegogo campaign. Now, the business is experiencing steadily growing sales on its website and Amazon.com. They are also in talks with “quite a few major retailers,” according to the founders. Even though they are seeing some success now, the founders said that starting a business in an industry that was new to them wasn’t without its challenges. Before Bump Water, Rauen worked as a magazine editor and Wilcox was a stay-at-home mom. So things like lead times from vendors and review time frames for major retailers were things they had to learn through trial and error. 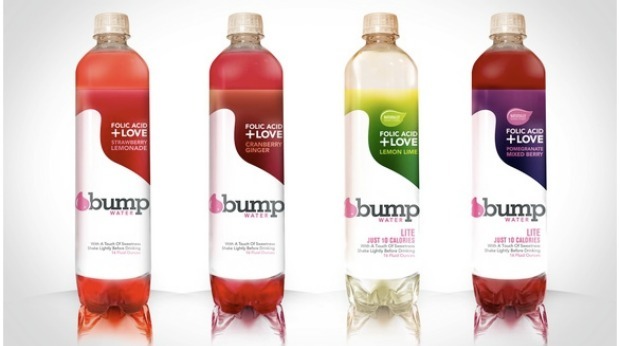 The post Two Moms Create Business Niche With Prenatal Vitamin Water appeared first on Small Business Trends.